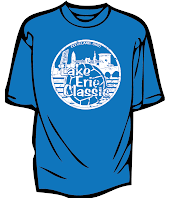 Cleveland Water Polo Club: Lake Erie Classic Success! Cleveland sweeps their bracket with four solid wins in Cleveland, Ohio. The Steamers racked up four solid wins this weekend for both the Wine & Gold Cleveland Teams. The tournament was deemed a great success by players, officials and fans alike as people stepped up to play well, run the table and sell t-shirts....(and have fun). Thank you to everyone who helped make it happen both in and out of the pool, it truly made for a great weekend. Good work, Steamers ... way to smash it! There are a few t-shirts left from the tournament so if anyone is interested in purchasing one of them please contact one of the board members. Practice continues at CSU Tuesday at 8:00pm, with swimming at 7:30pm for those super athletes.